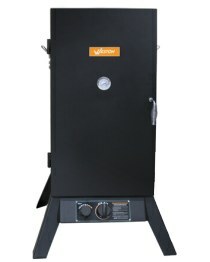 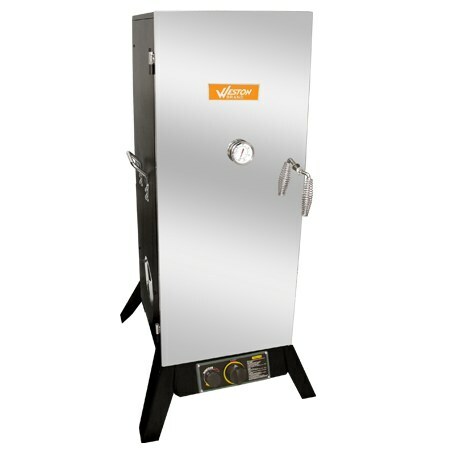 Easily smoke meat, game, vegetables, nuts or fish for mouth-watering smokey flavor! 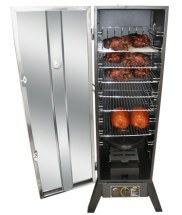 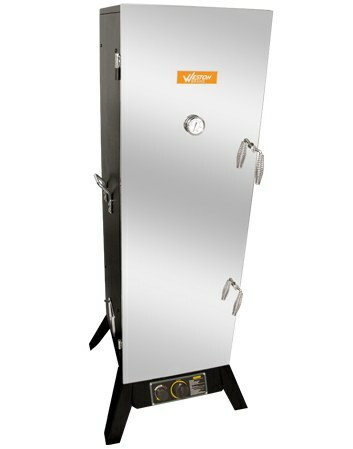 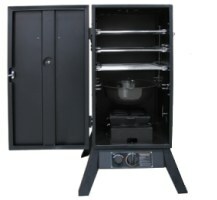 Three sizes of outdoor propane powered smokers are available. 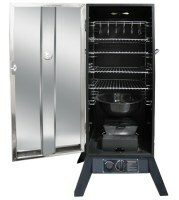 The cabinet measures 16" x 16" x 36"
30" Outdoor Propane Vertical Smoker 41-0701-W Strongsville, OH 64 lbs. 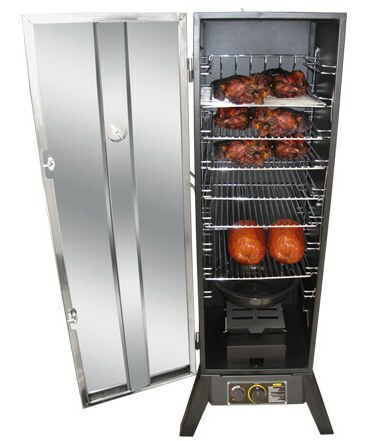 The cabinet measures 36" x 16" x 16"
36" Outdoor Propane Vertical Smoker 41-0301-W Strongsville, OH 82 lbs. 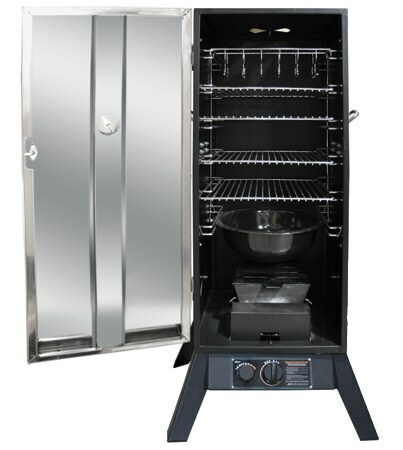 The cabinet measures 48" x 16" x 16"
48" Outdoor Propane Vertical Smoker 41-0401-W Strongsville, OH 110 lbs.